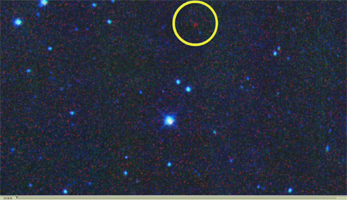 An asteroid discovered by NASA's NEOWISE spacecraft has been given the formal designation 316201 Malala, in honor of Malala Yousafzai of Pakistan, who received the Nobel Peace Prize in 2014. The asteroid's previous appellation was 2010 ML48. The International Astronomical Union (IAU) renamed the asteroid as the request of Amy Mainzer of NASA's Jet Propulsion Laboratory, Pasadena, California. Mainzer is the principal investigator of NASA's NEOWISE space telescope. The IAU is the sole worldwide organization recognized by astronomers everywhere to designate names for astronomical bodies. So far, Mainzer and the NEOWISE team have focused on pioneers in civil rights, science and the arts for the astronomical honor. Among the strong women of history who have already had NEOWISE-discovered asteroids named for them are civil rights activist Rosa Parks, conservationist Wangari Maathai, abolitionists Sojourner Truth and Harriet Tubman, and singer Aretha Franklin. Asteroid Malala is in the main belt between Mars and Jupiter and orbits the sun every five-and-a-half years. It is about two-and-a-half miles (four kilometers) in diameter, and its surface is very dark, the color of printer toner. NASA's Jet Propulsion Laboratory manages the NEOWISE mission for NASA's Science Mission Directorate in Washington. The Space Dynamics Laboratory in Logan, Utah, built the science instrument. Ball Aerospace & Technologies Corp. of Boulder, Colorado, built the spacecraft. Science operations and data processing take place at the Infrared Processing and Analysis Center at the California Institute of Technology in Pasadena. Caltech manages JPL for NASA. More information on NEOWISE is online at http://neowise.ipac.caltech.edu.